The money will be spent over the next five years on track renewal and increased maintenance across the lines. Engineering work will close part of the Brighton line for nine days this weekend. 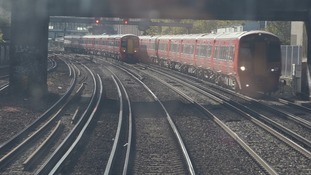 Multimillion-pound plans have been unveiled to improve the Brighton line. It's known to have the worst punctuality of any major route. Chris Grayling face a panel to give evidence as to why changes of the new train timetables caused collapse to services in the south. Network Rail say repair work to the overhead electric cables will continue into the night, which may lead to disruption on Thursday.